We’re celebrating our second birthday on the 1st of April! It’s an exciting milestone, and we can’t wait to give some gifts to the people who have helped and supported us to get there. We’re giving you a present for each year! Before we announce what’s in this lovely package, we think it’s only fitting that we let you know what you’ve been supporting during the last two years. 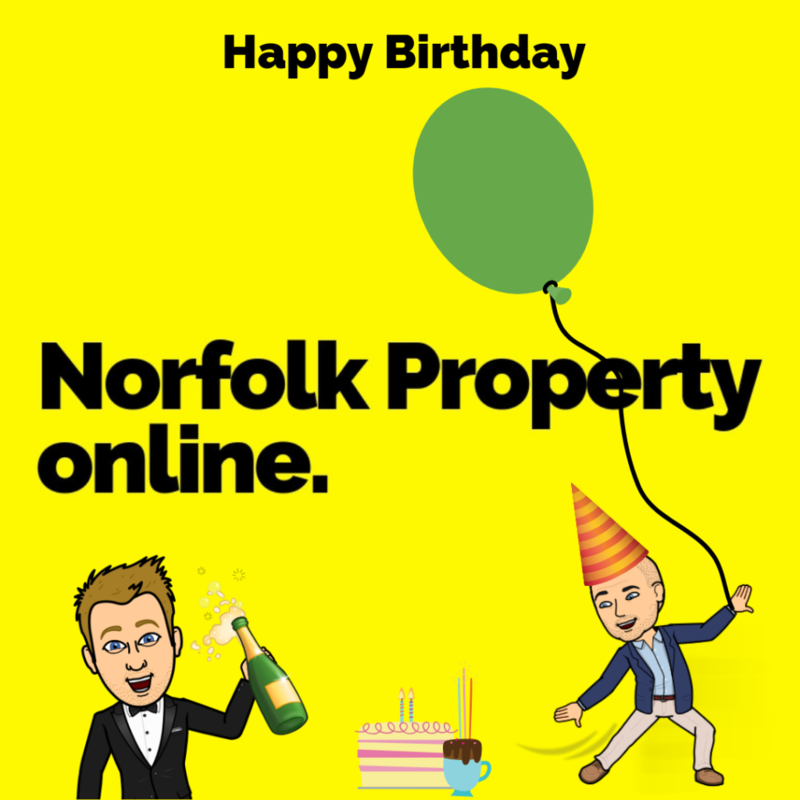 What is Norfolk Property online? Norfolk Property online is a true hybrid estate agent. This is a very good question to ask and the best person to answer it is Dan, Norfolk Property online Branch Manager. Dan explains “A hybrid estate agent takes the best parts of both traditional and online estate agencies. We describe it as traditional meets digital, with intelligence. The role of a hybrid is the ability to advertise your home for the low-cost fees online agents are known for, while still retaining the benefits of a commission driven, local team, who know the area you are selling or buying in.” Maintaining this traditional estate agency side of the service is important. Online estate agents are well known for offering a low-cost fee which simply enables the seller a route to list their property on popular web portals such as Rightmove and Zoopla, but that’s where it stops. A hybrid estate agent still offers that low-cost option but without compromising on essential services such as the ones we provide. A pool of local property experts who know the area. Many types of local property available. Property experts who are extensively trained to negotiate. Dedicated after sales service ensuring sales progression is smooth and hassle-free. Traditional high street agencies VS hybrid agencies. While a traditional, high street agency may offer some of the services we do, they will no doubt provide a lot of out-dated, unnecessary and ineffective services which requires them to claw this wasteful expenditure back through charging higher fees to its clients. For example, the typical traditional agency fee for its clients is 1% of the sale + VAT, so a house sold at £250,000 would have a total fee of £3,000 from the seller. Our cost-effective model, on the other hand, allows us to provide the essential services and more at much more competitive prices. Our fees start at a single upfront payment of £695 saving the seller, in the above example, a total of £2,305. Norfolk Property online also offers a no sale, no fee option which means precisely what it says, if there is no sale, then we don’t expect payment for our services. Now let’s talk about our Birthday! For the Birthday celebrations, we would like to offer you a gift, actually two gifts, one for each year we’ve been in business. A beautiful video tour of your home filmed and edited by our in house photographer free of charge, usually costing £299. A featured online property portal for your property, giving it all the attention it deserves free of charge usually costing £199.